Born December 9, 1946. Armed with a degree in journalism from Temple University, Peltz had secured a job at the sports desk of the Philadelphia Evening Bulletin. However, his future wasn't in journalism. Dubbed "The Boy Wonder," the 22-year old promoted his first bout on September 30, 1969 featuring Bennie Briscoe in the main event at the Blue Horizon. Since then, Peltz has become one of boxing's most consistent promoters and is synonymous with Philadelphia boxing and, in particular, the Blue Horizon, where he promoted bouts for 32 years. Peltz also served as director of boxing at the Philadelphia Spectrum from 1973-1980. Among the fighters who boxed on Peltz promoted cards include Bobby "Boogaloo" Watts, Eugene "Cyclone" Hart, Willie "The Worm" Monroe, Stanley "Kitten" Hayward, Marvin Johnson, Mike Rossman, Billy Douglas, Antonio Tarver and Hall of Famers Jeff Chandler, Matthew Saad Muhammad, George Benton and Marvelous Marvin Hagler. 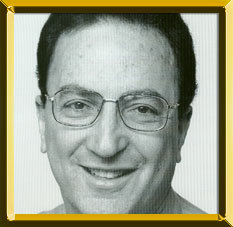 Peltz was honored with the James J. Walker Award for "Long and Meritorious Service to Boxing" by the Boxing Writers Association of America in 1999. Noted for his ingenuity for making great matches, Peltz follows in the great tradition of Philadelphia boxing promoter Herman Taylor. In addition to promoting, Peltz is an avid boxing historian and archivist.